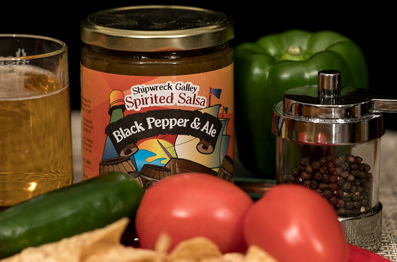 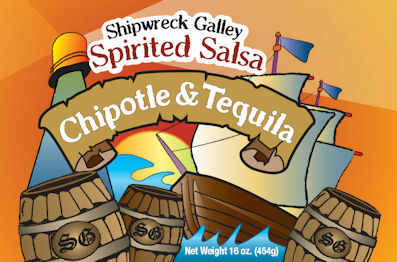 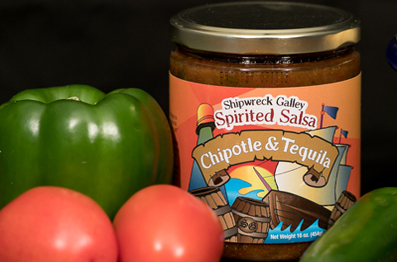 This is the original salsa recipe, exploiting the best of beer, mixed with black beans and a unique blend of spices... Oh, so sublime! 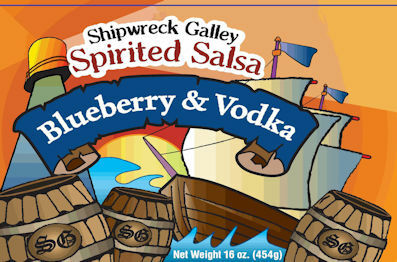 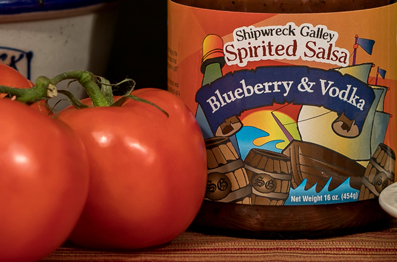 The hypnotic flavor of the sweet wild blueberry inspired Pegleg to combine berries and spirits to create his blueberry and vodka salsa. 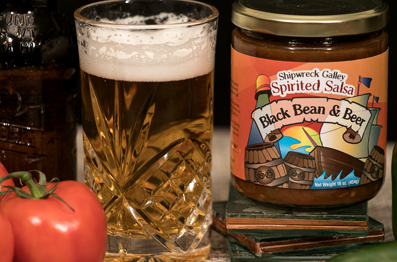 Savory sweetness, worth of even the most discriminating palate.